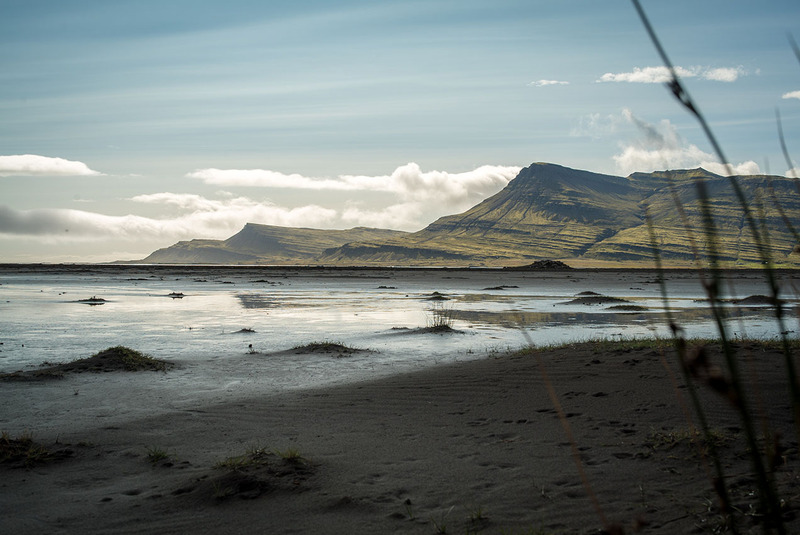 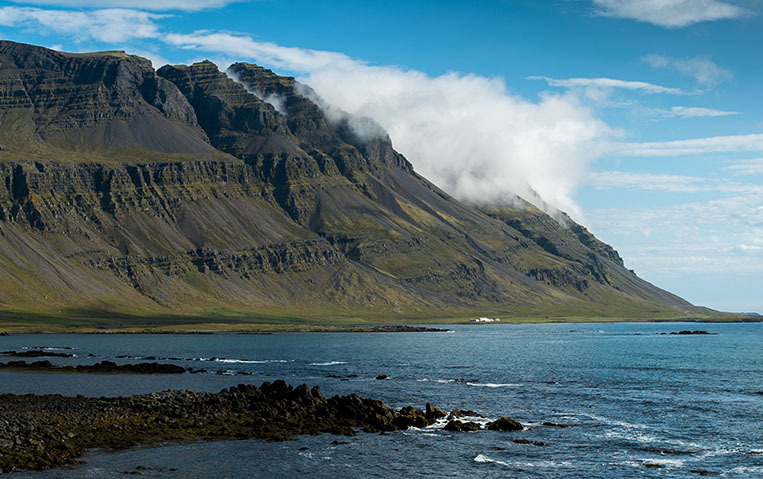 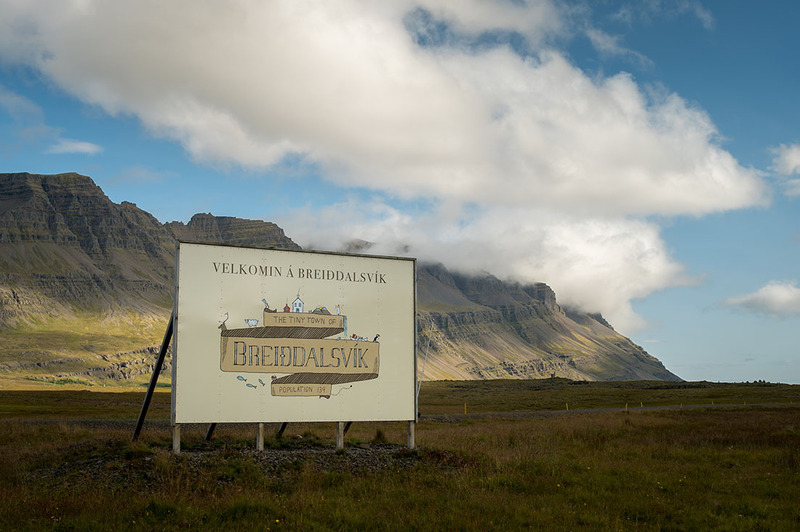 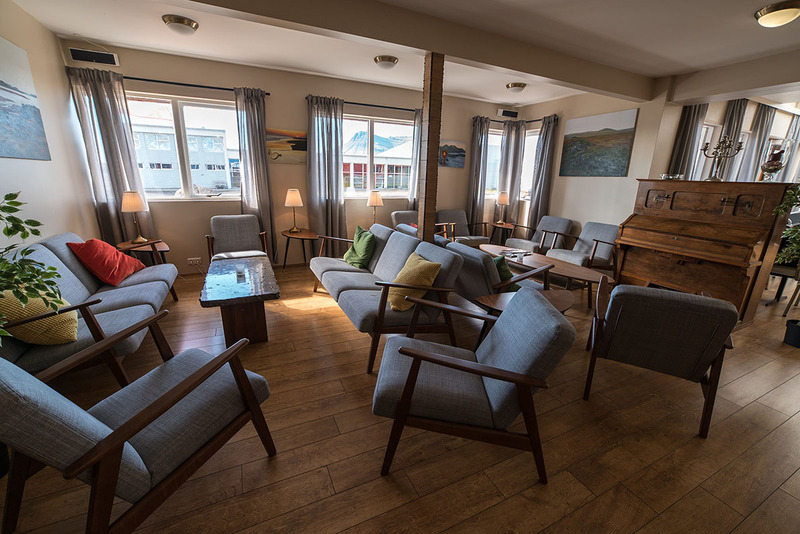 Tucked between breathtaking coastal mountains and black sand beaches, Hotel Bláfell is a tranquil oasis of rustic charm amid the rugged beauty of Breiðdalsvík in East Iceland. 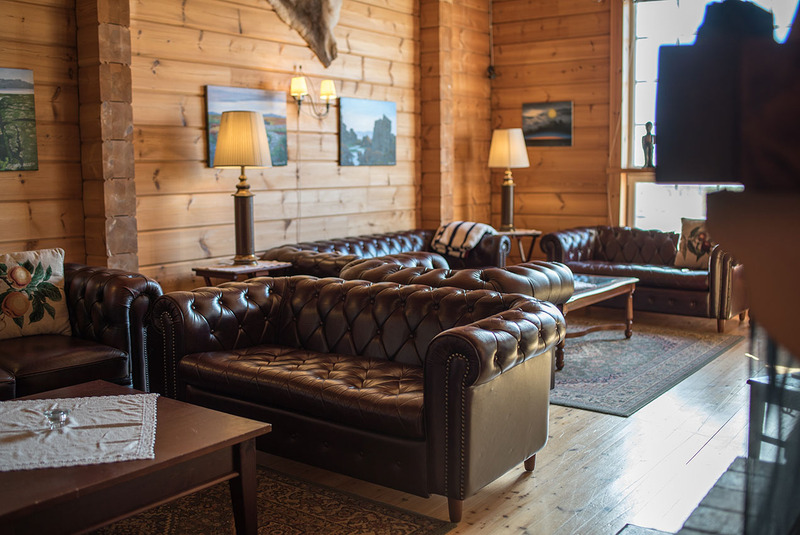 In a comfortable atmosphere highlighted by natural wood décor, the hotel features 39 well-appointed guest rooms, as well as a cozy fireplace lounge and library, wellness sauna, and superb dining room serving authentic local cuisine. 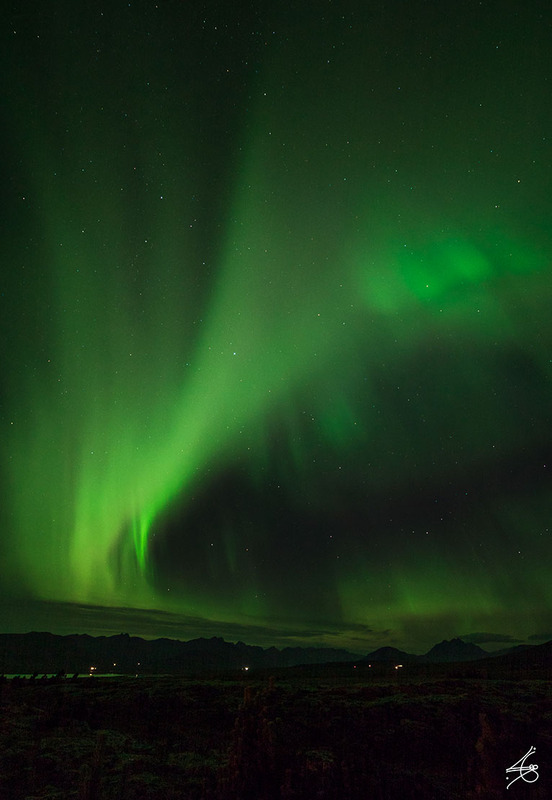 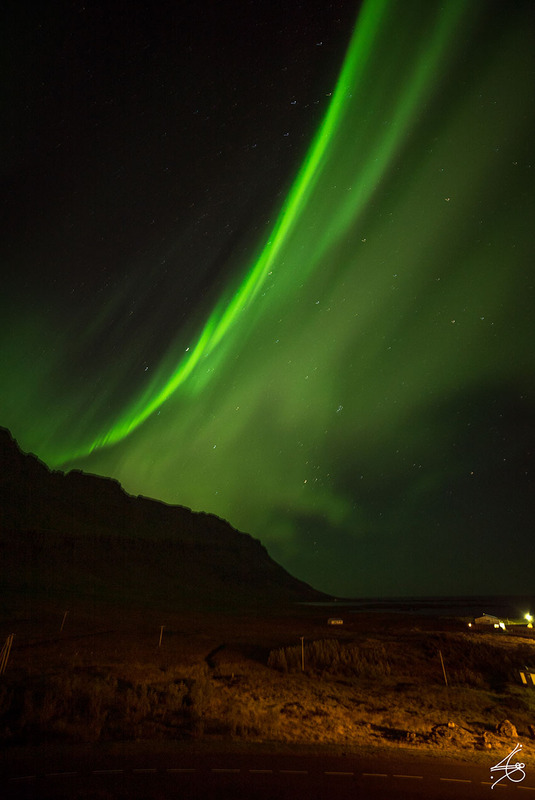 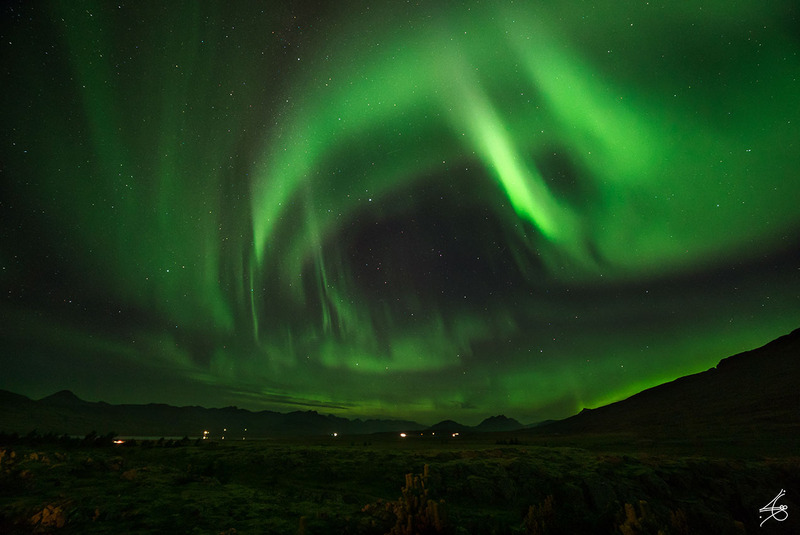 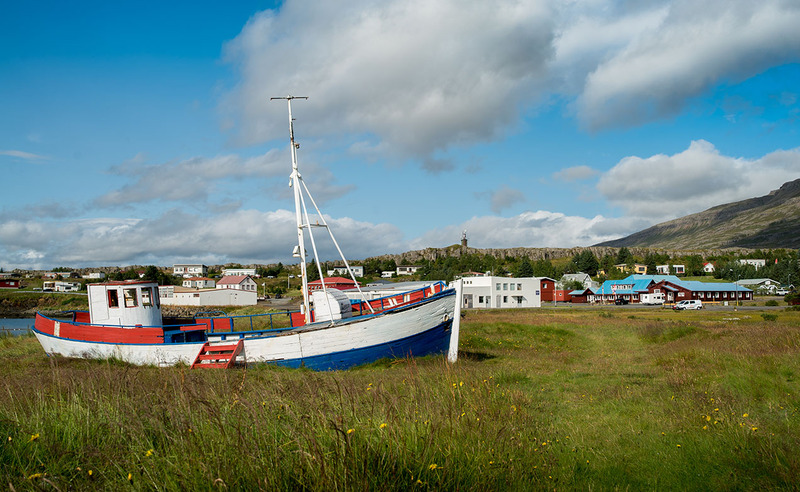 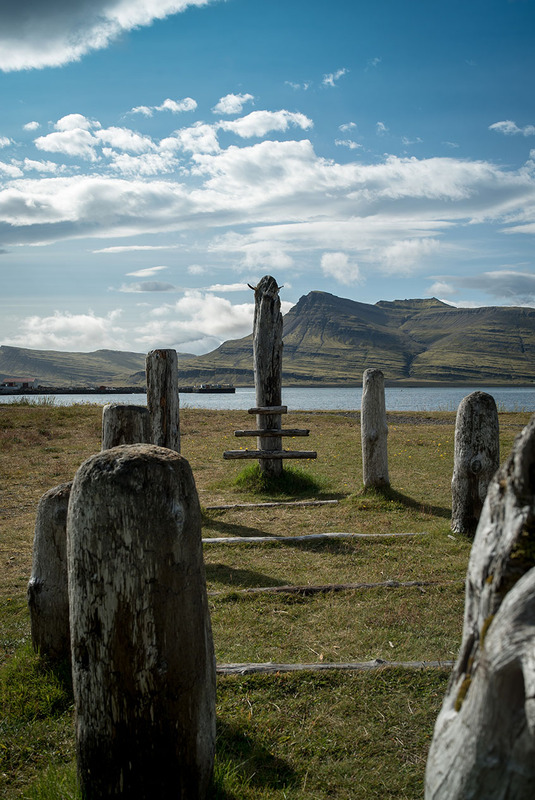 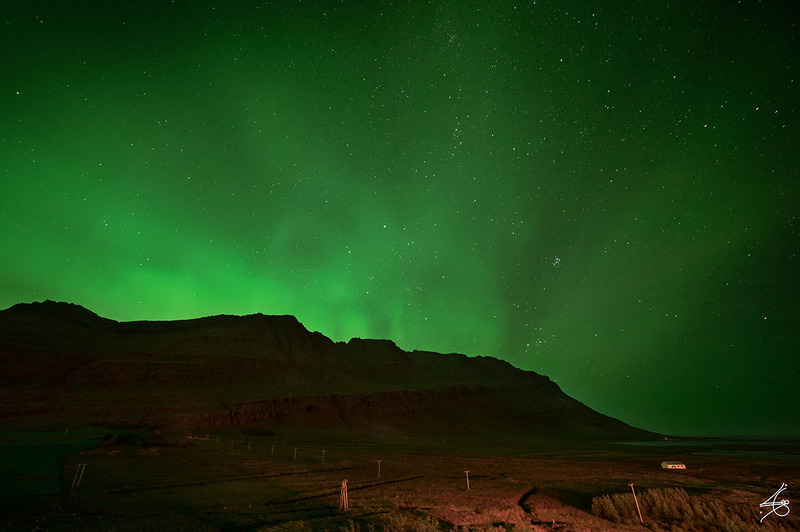 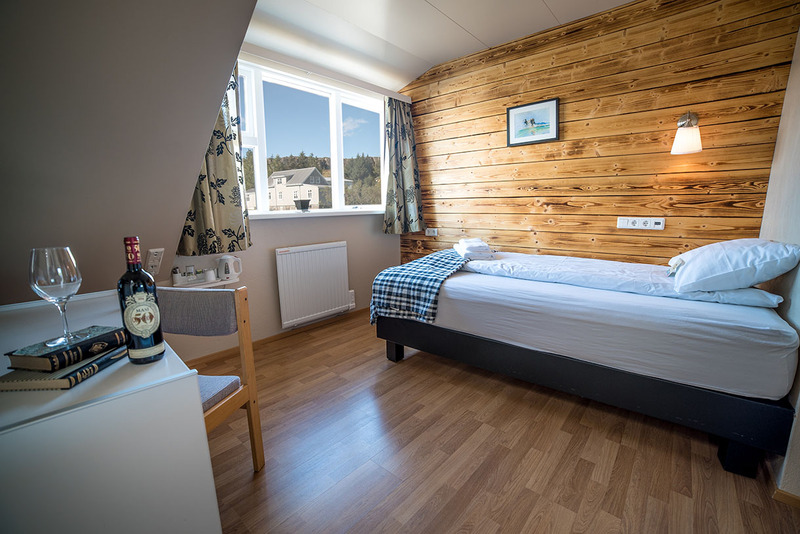 For a taste of adventure that feeds the soul, guests can spend their time nature hiking, sea angling, wild reindeer trekking, Northern Lights hunting, or strolling along our beach. 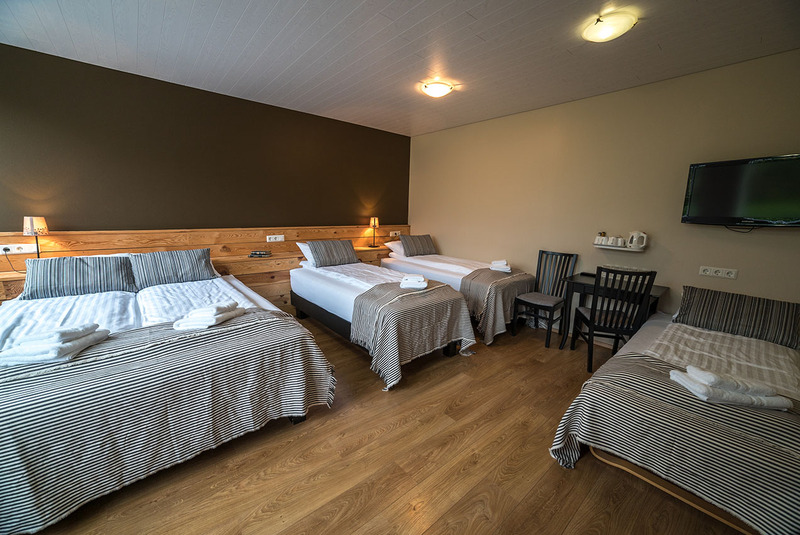 Hotel Bláfell offers comfortable accommodation in 46 bright and spacious guestrooms all with private facilities. 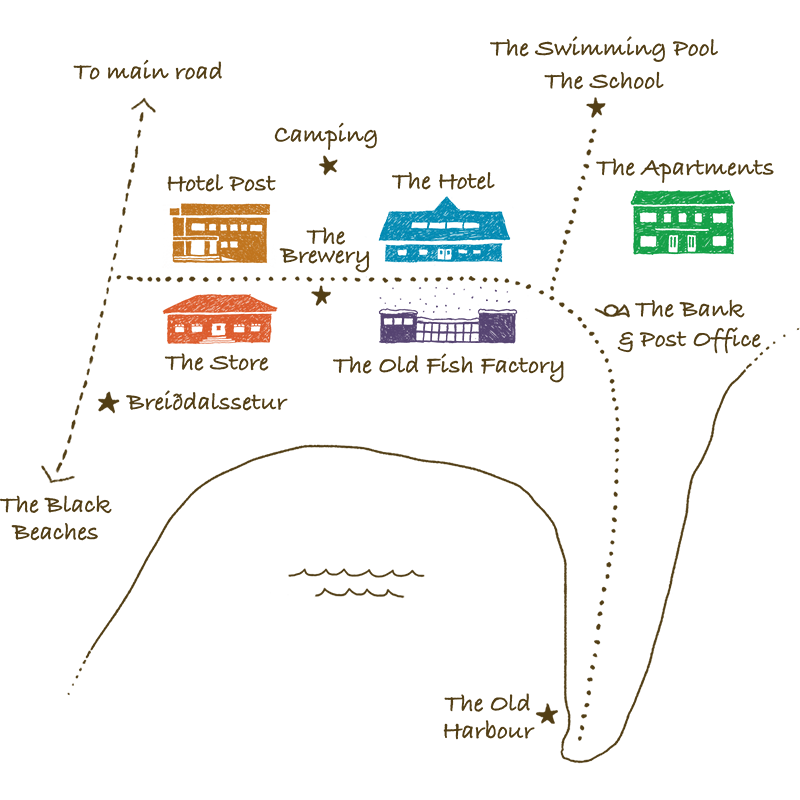 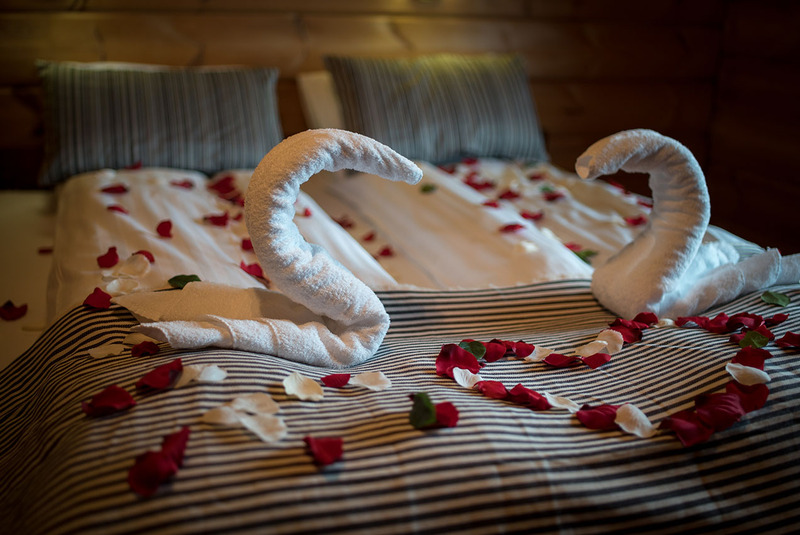 Categories include standard, deluxe, triple and family. 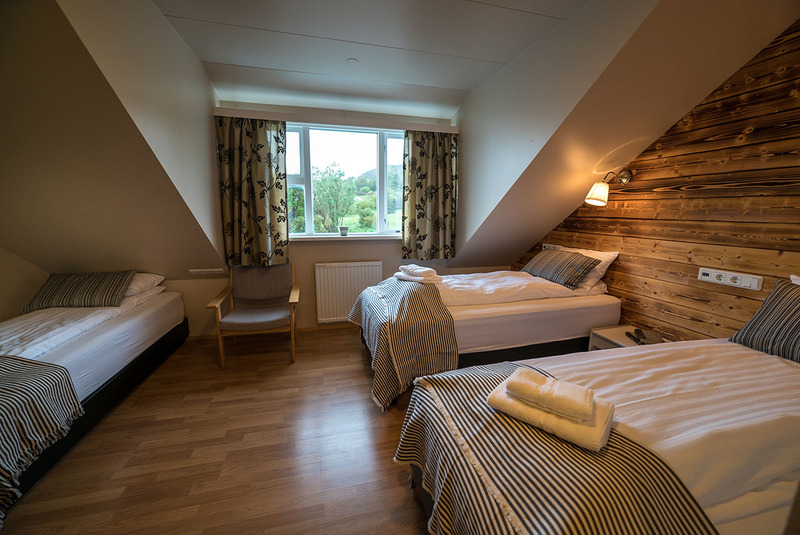 Our standard rooms are bright, spacious and comfortable. 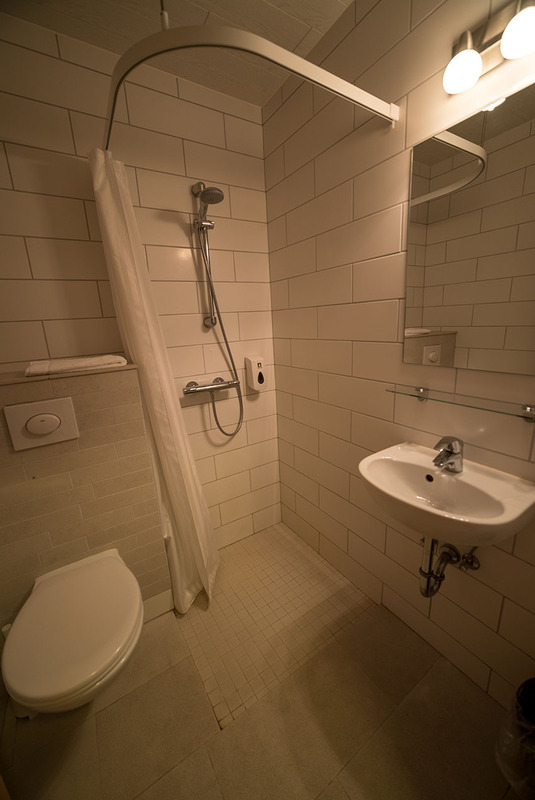 All guestrooms feature a private bathroom with shower, hairdryer and free Wi-Fi access. 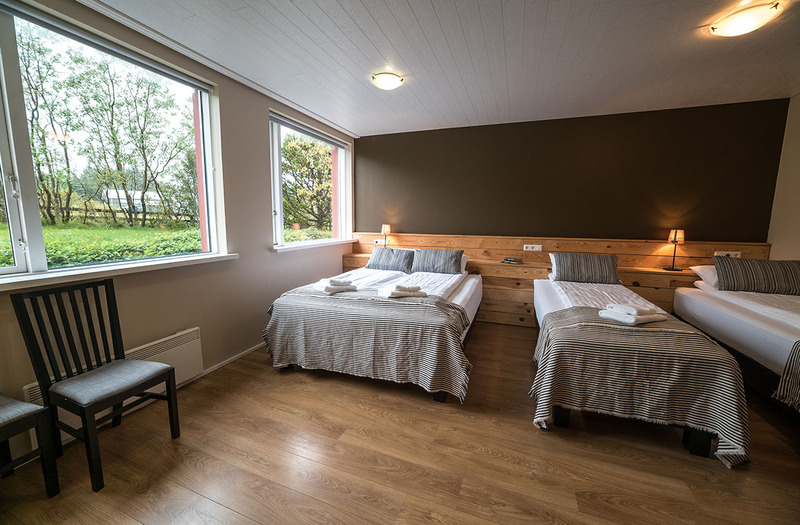 Our standard rooms are available in categories: single, double and twin. 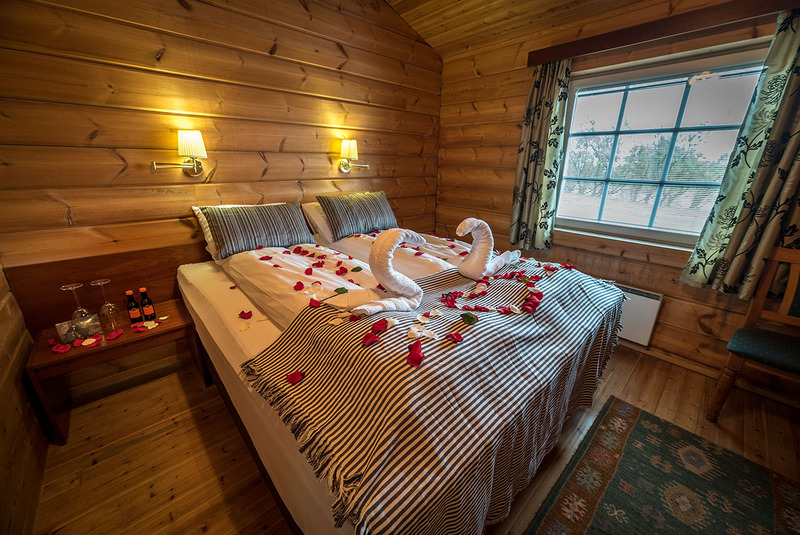 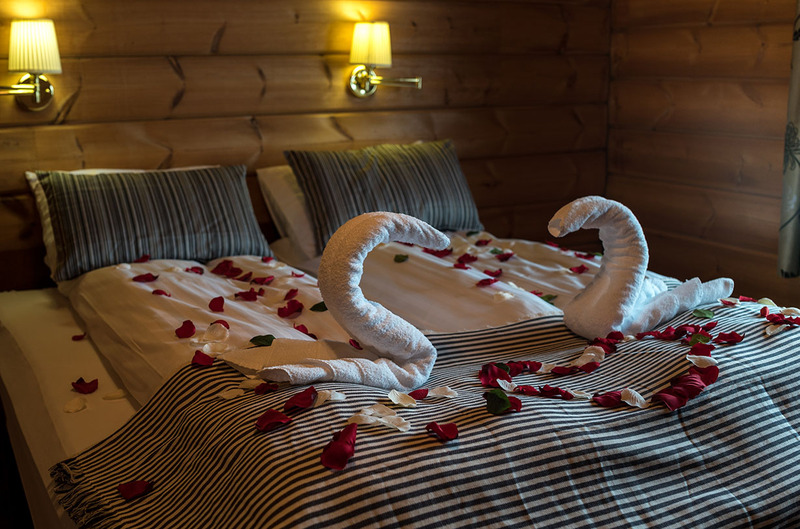 Our spacious Superior rooms are located in the adjacent Finnish log house. 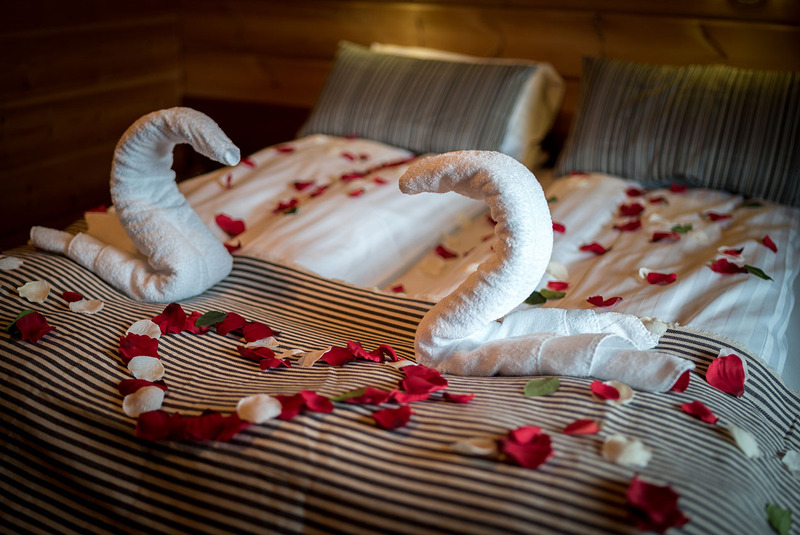 Decorated in log cabin style they reflect the beauty in nature and the great outdoors. 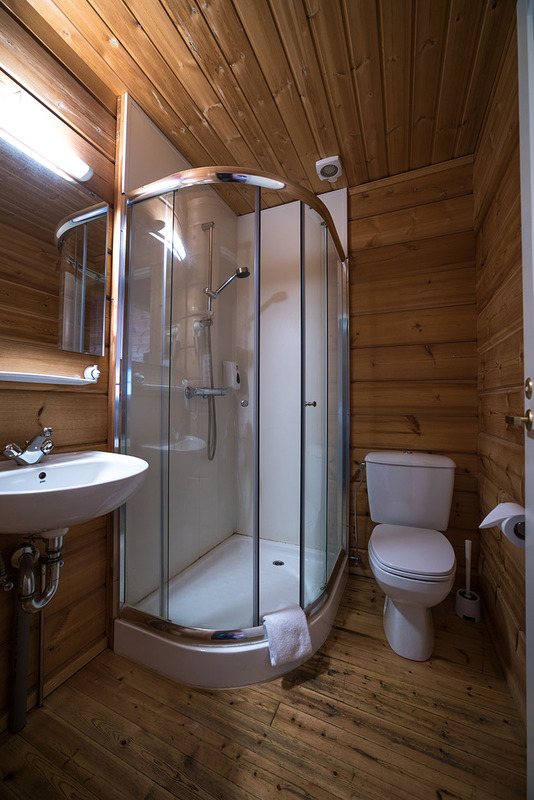 All guestrooms feature a private bathroom with shower, hairdryer and free Wi-Fi access. 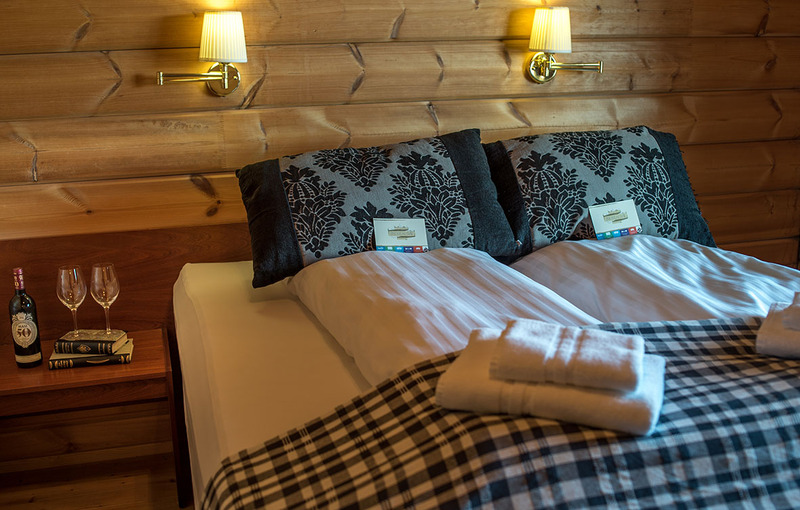 Our Superior rooms are available in categories: double and twin. 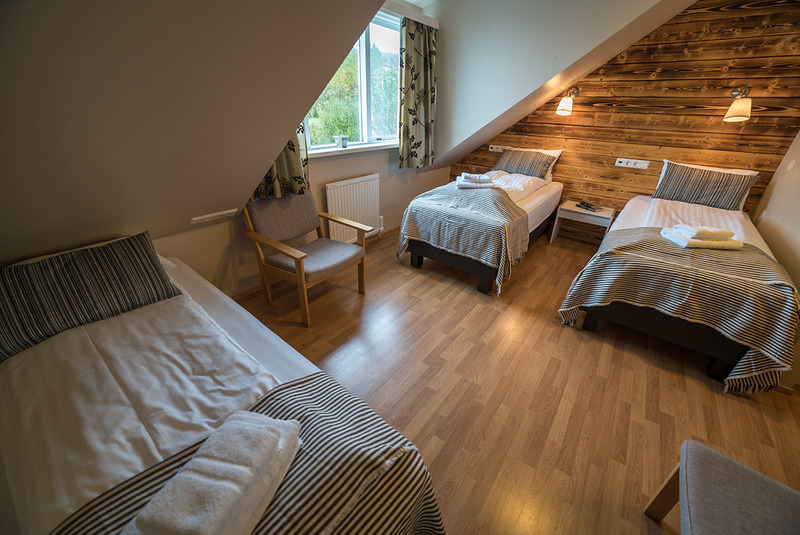 Our bright and spacious family rooms are equipped to comfortably accommodate a family of four with the option of adding an extra bed or baby cot. 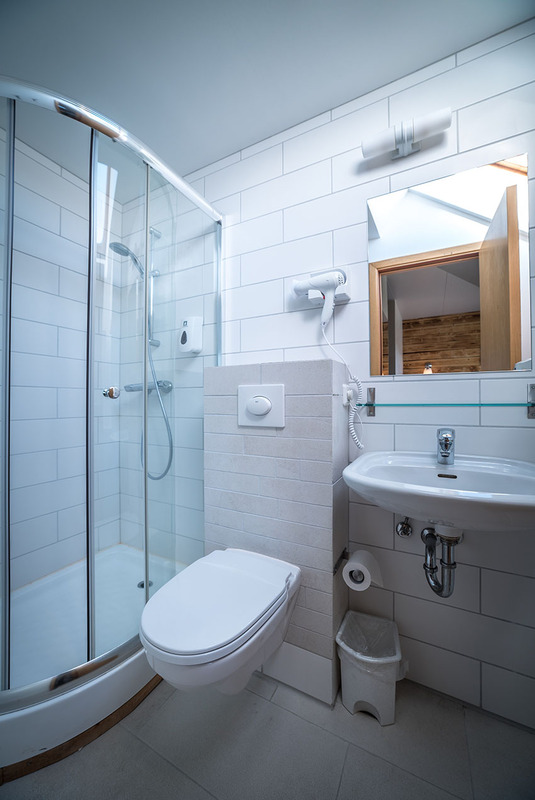 All guestrooms feature a private bathroom with shower, hairdryer and free Wi-Fi access. 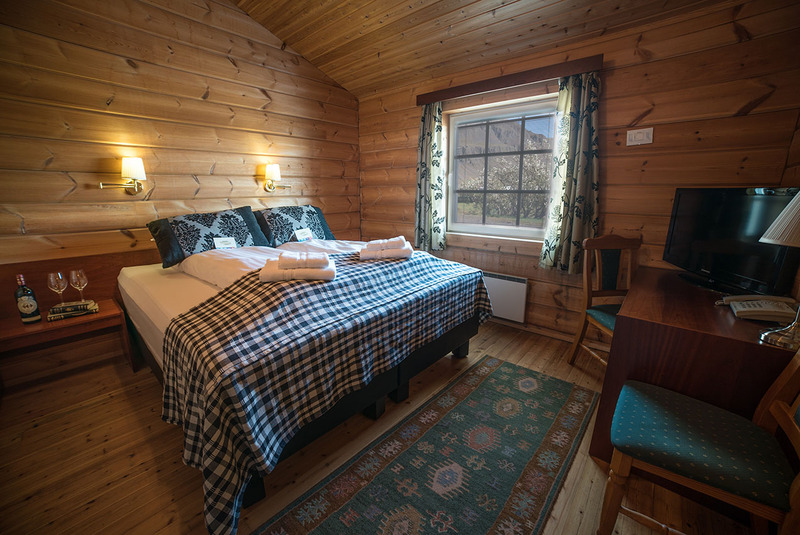 Our triple rooms are bright, spacious and comfortable. 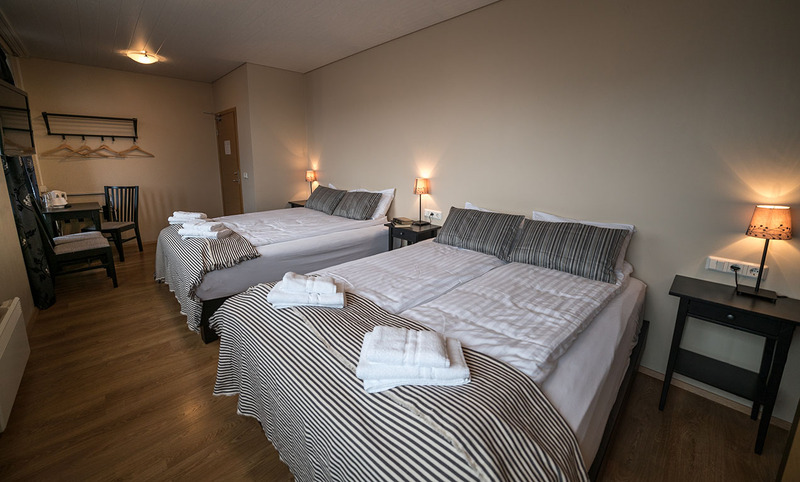 They are equipped with either one double bed plus one single bed or three single beds. 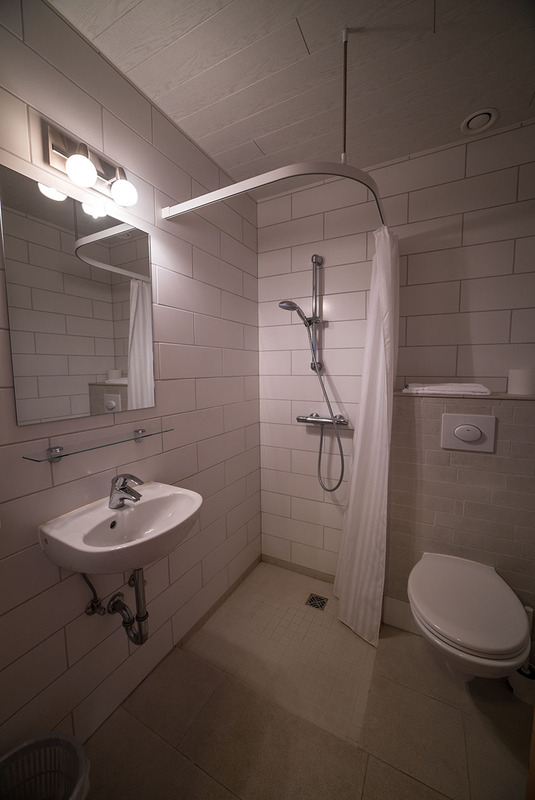 All guestrooms feature a private bathroom with shower, hairdryer and free Wi-Fi access. 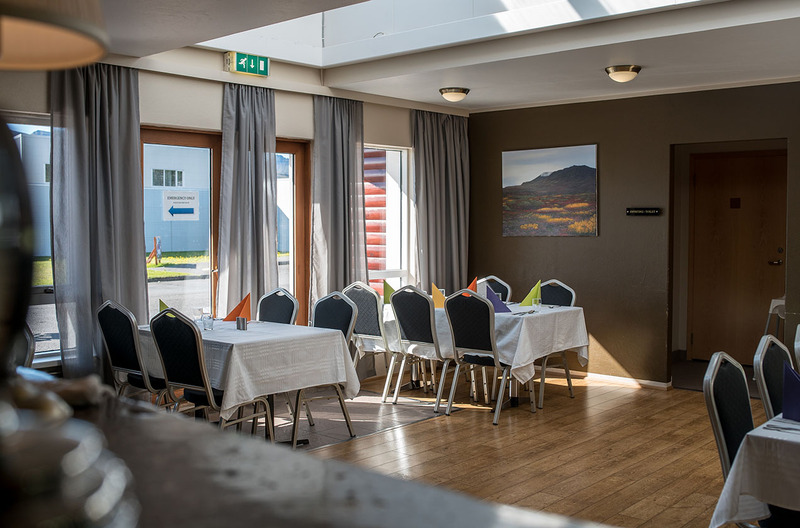 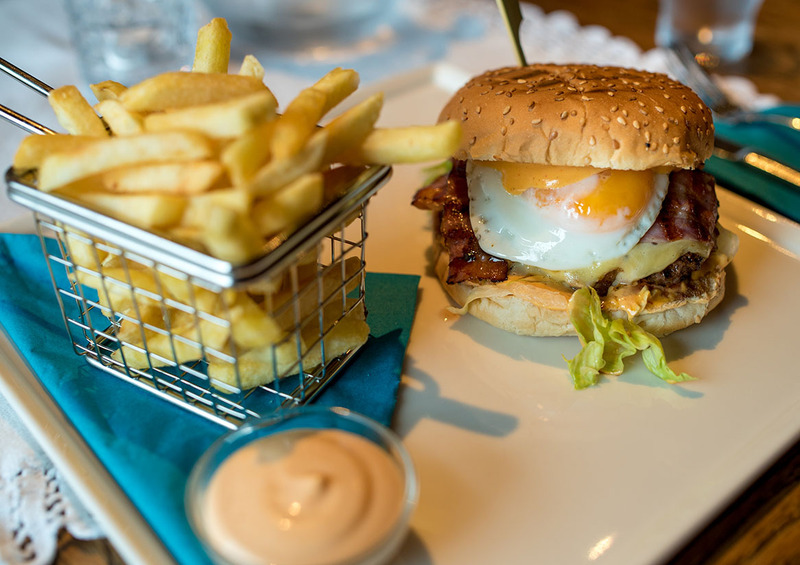 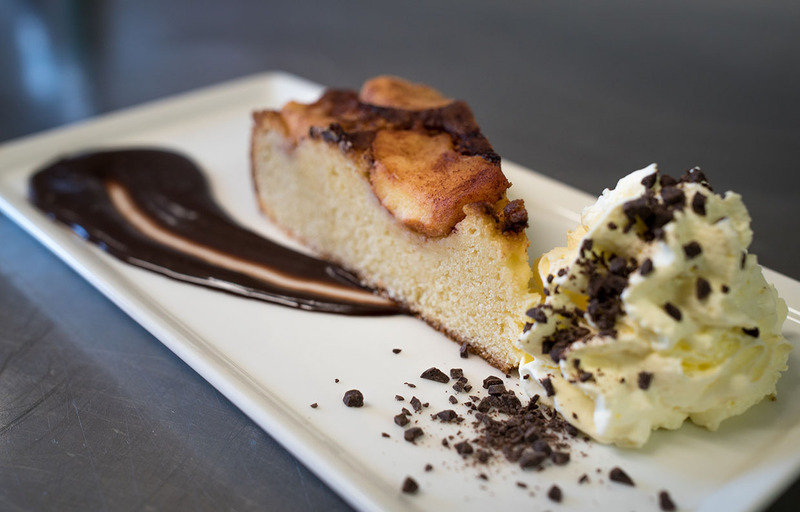 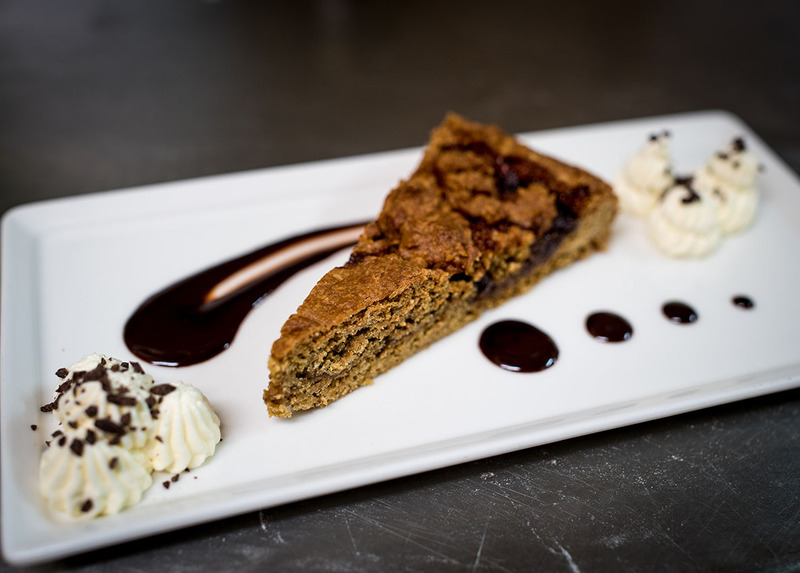 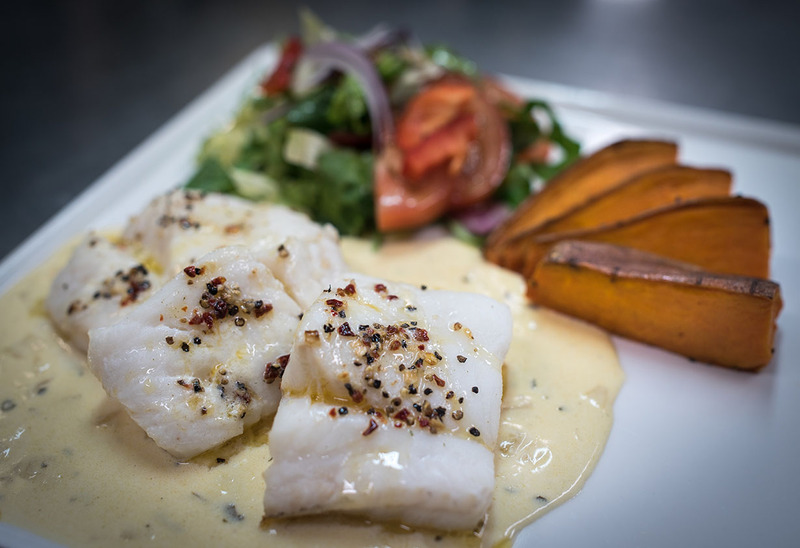 At our restaurant in Hotel Bláfell we pride ourselves on serving locally sourced food products and Icelandic cuisine at its best. 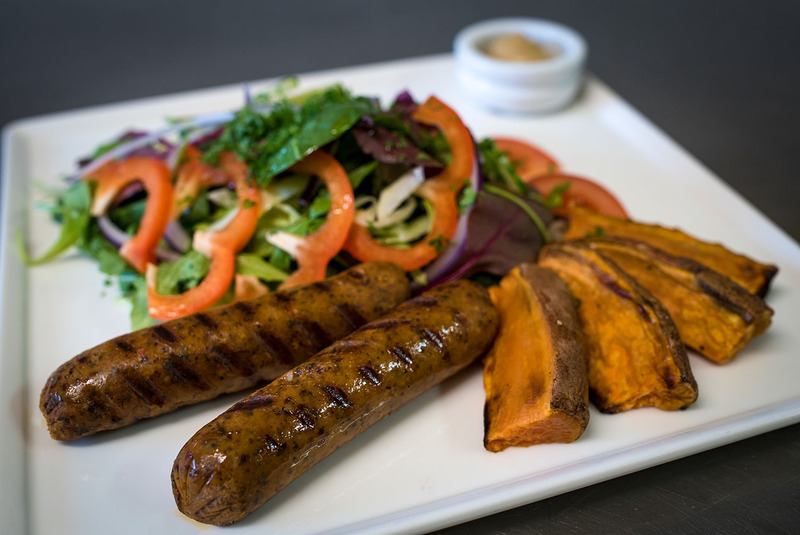 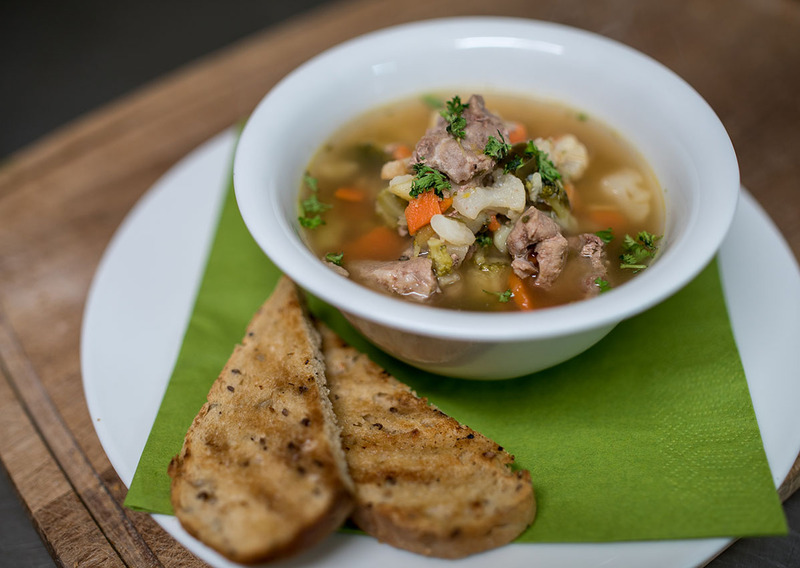 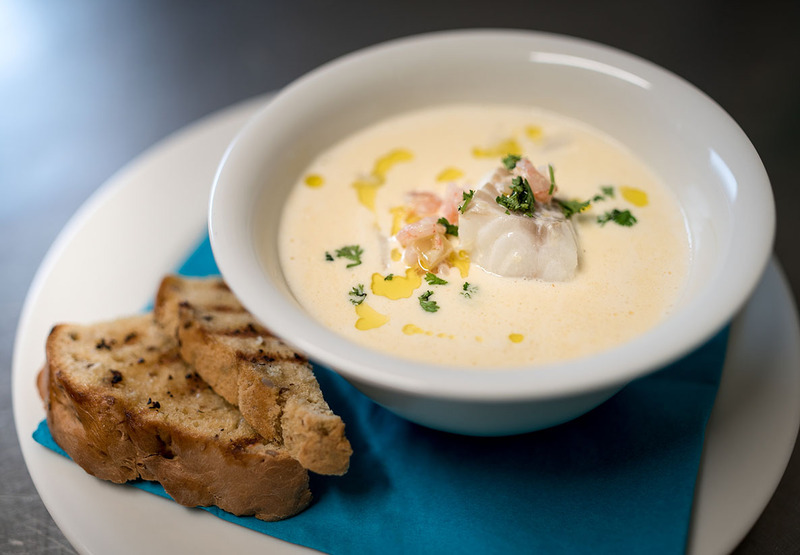 The lamb, beef and vegetables come from farmers in the area and our seafood from fisherman who brave the local waters. 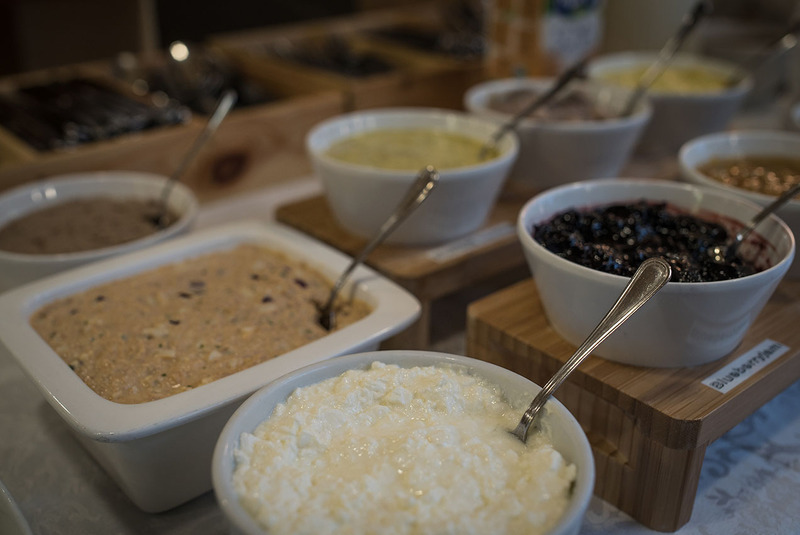 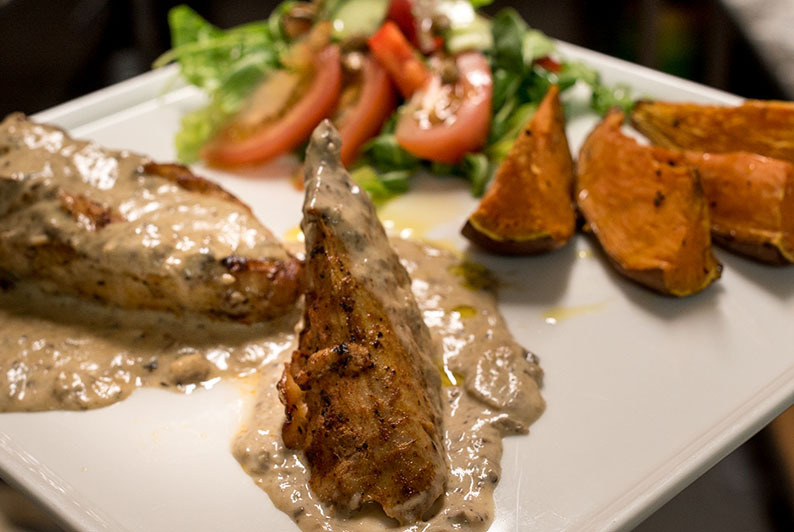 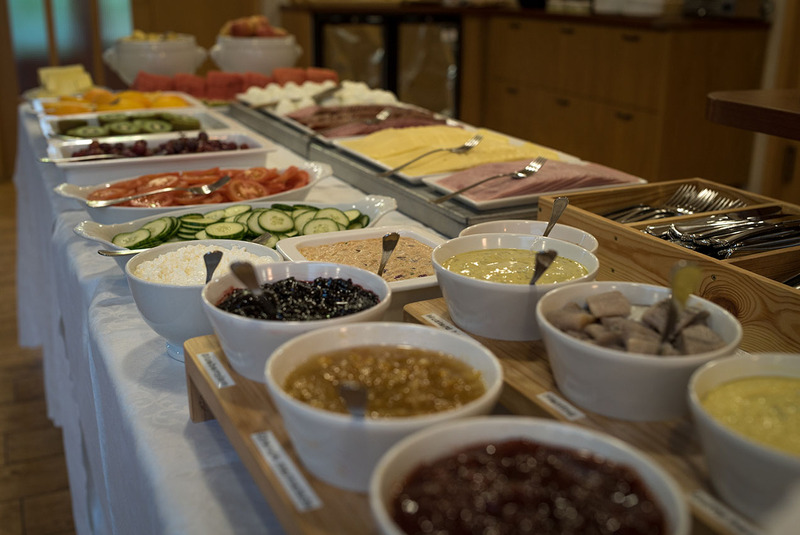 We also offer great traditional lunchtime meals and our evening buffet features the freshest selection of produce the area can supply. 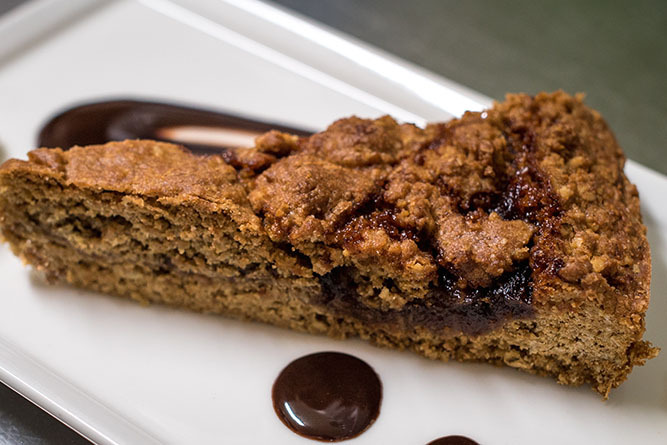 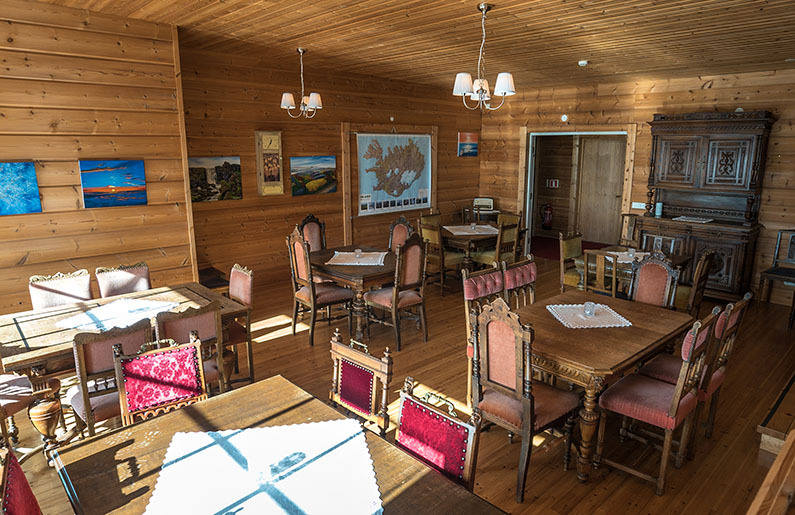 If you’re just passing through, be sure to drop in for a cup of freshly brewed coffee and a healthy slice of homemade cake. 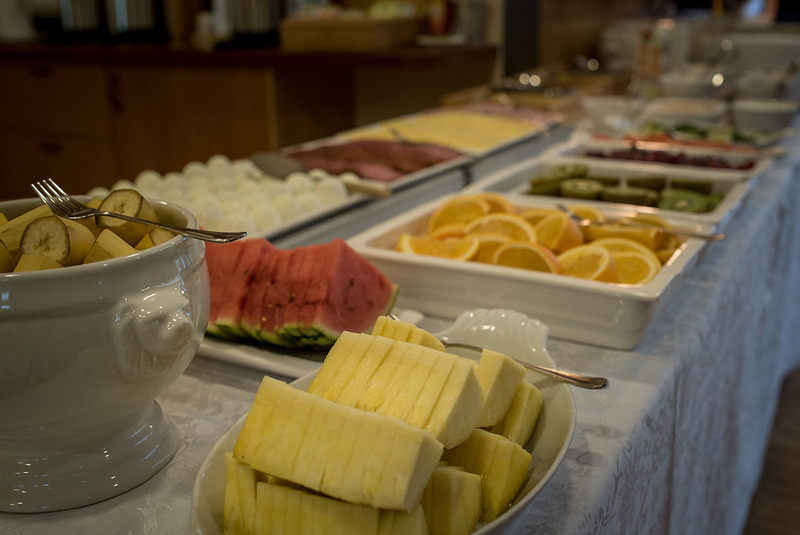 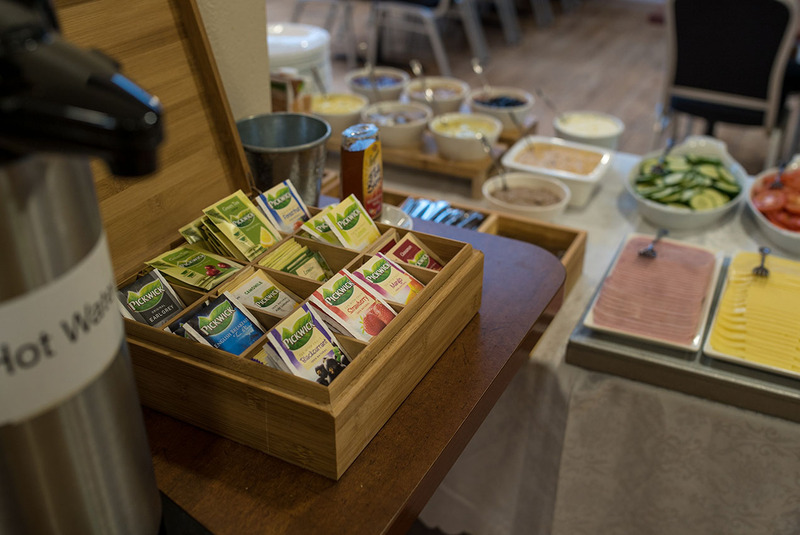 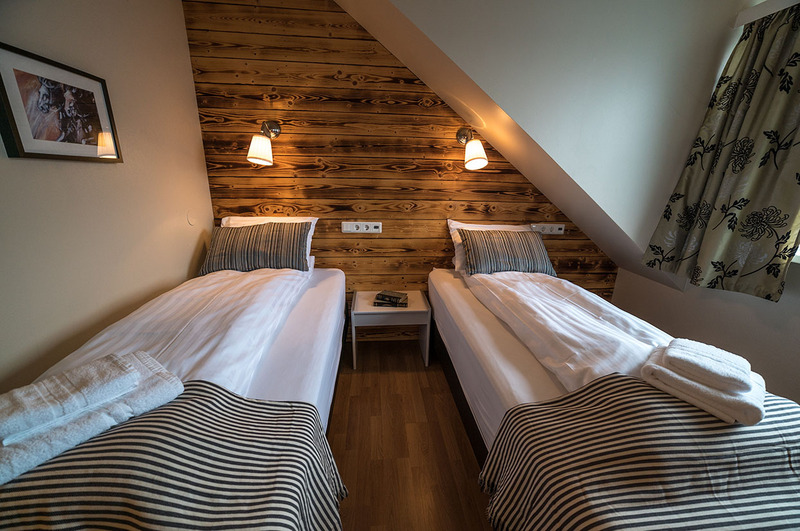 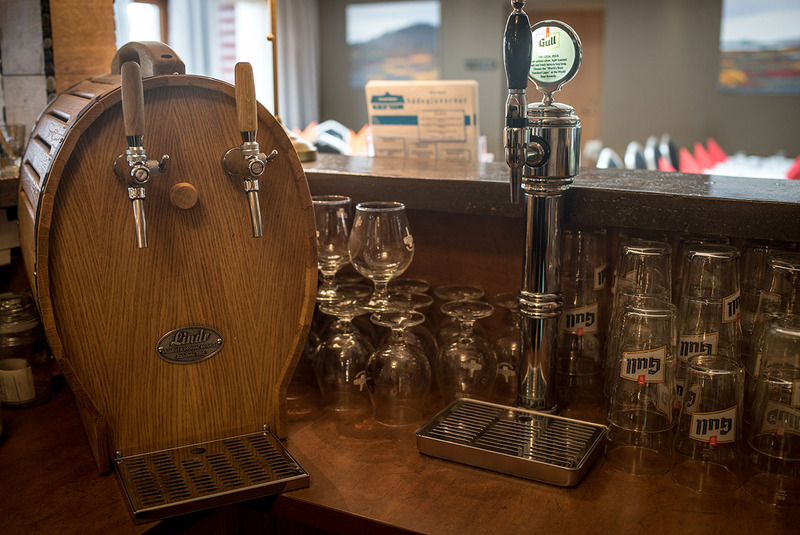 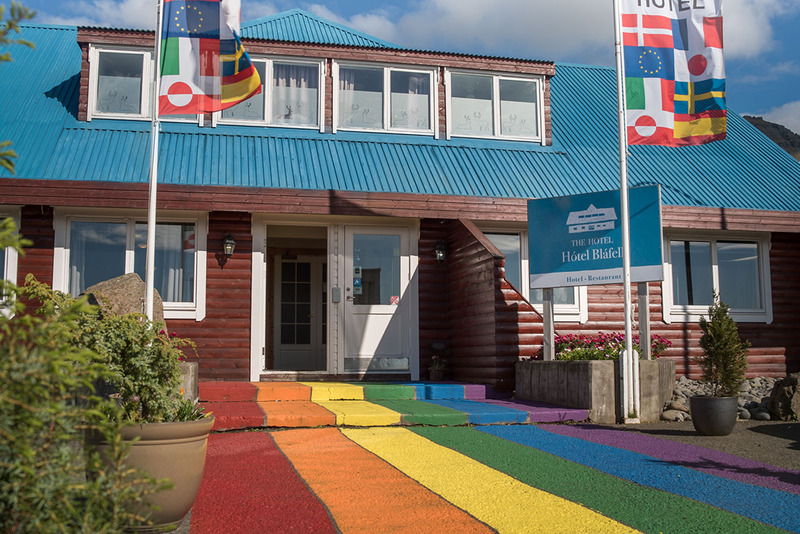 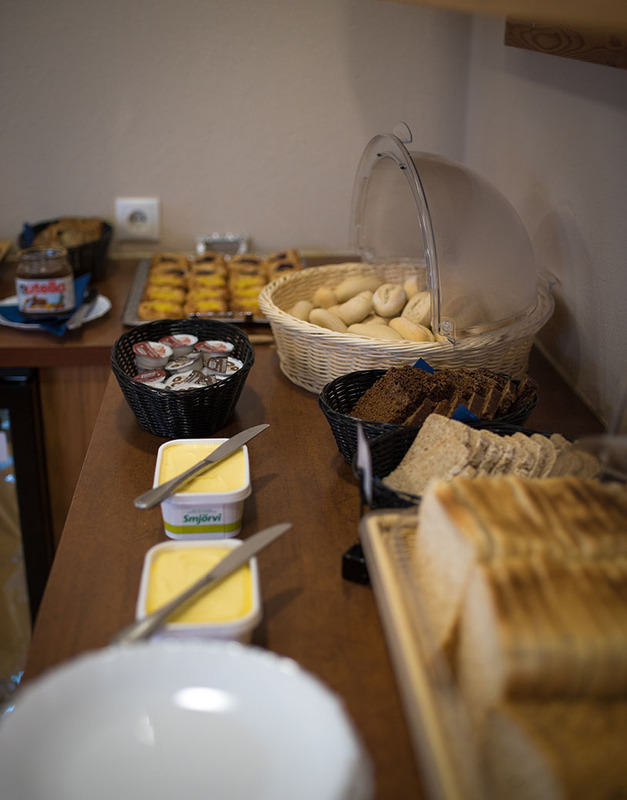 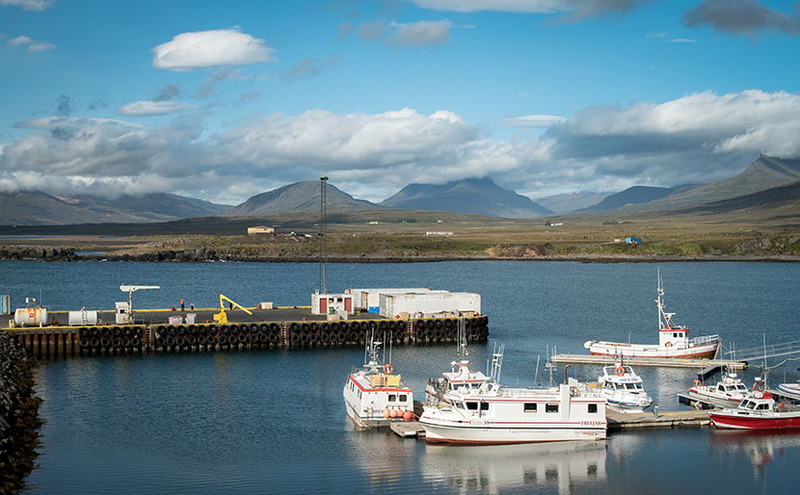 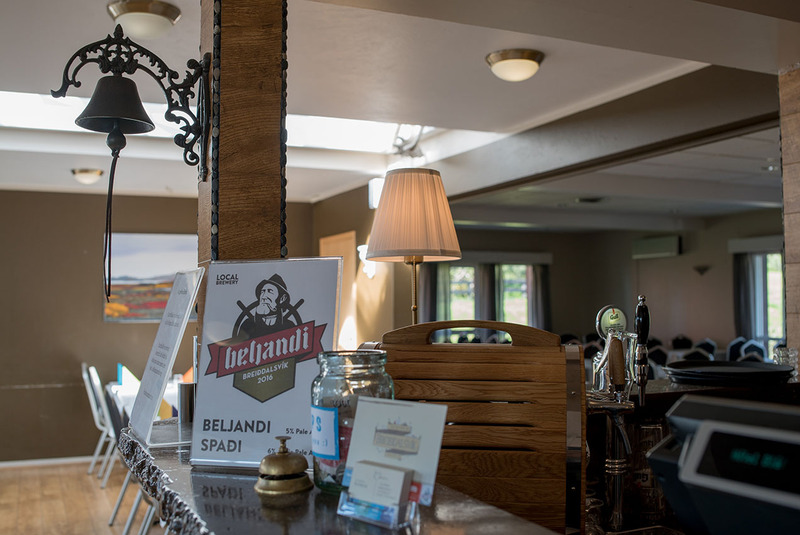 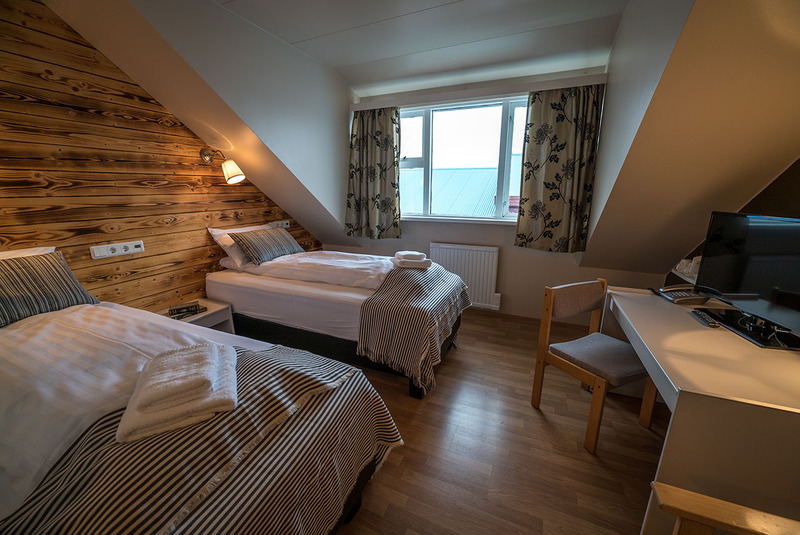 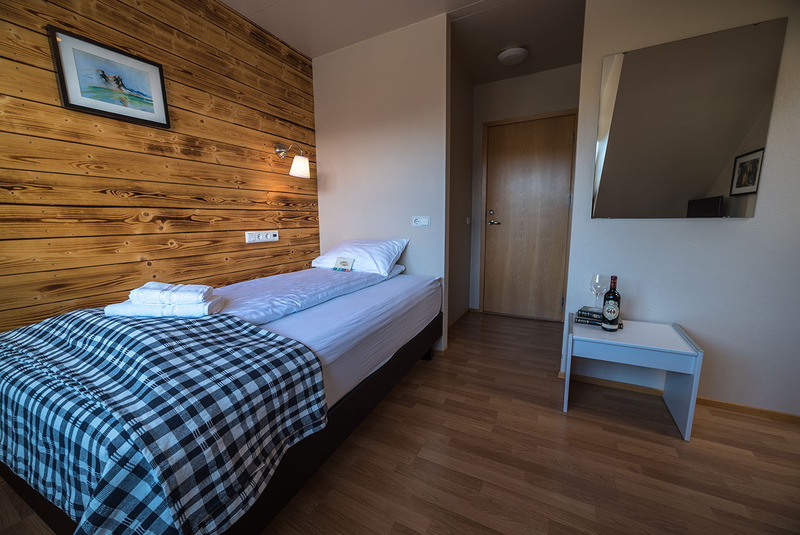 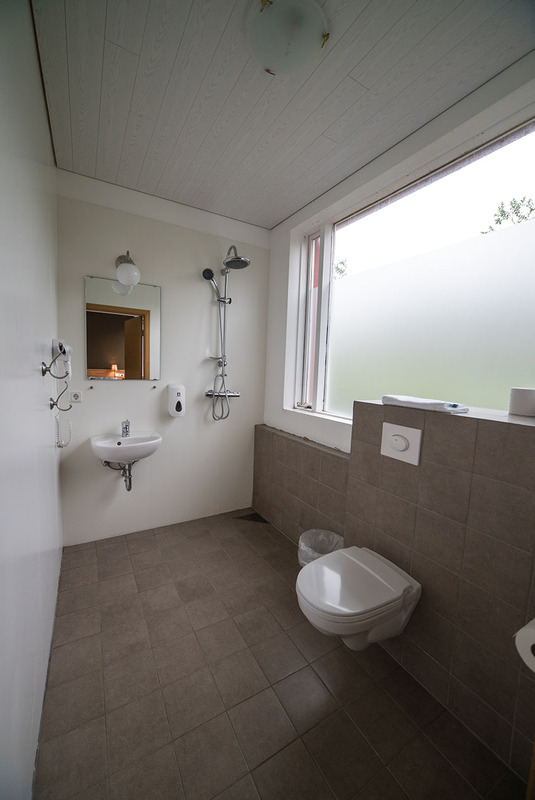 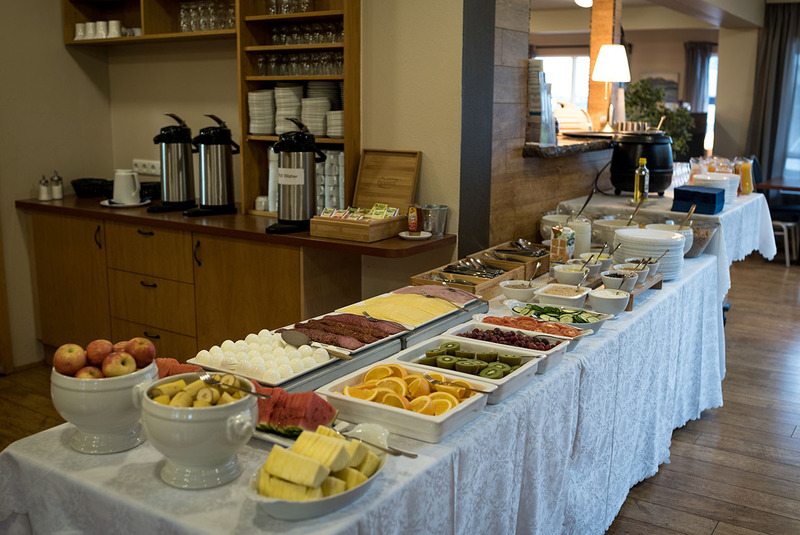 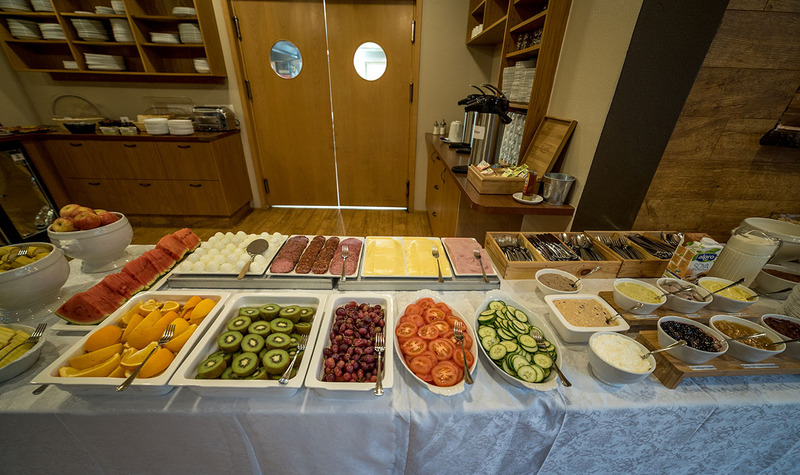 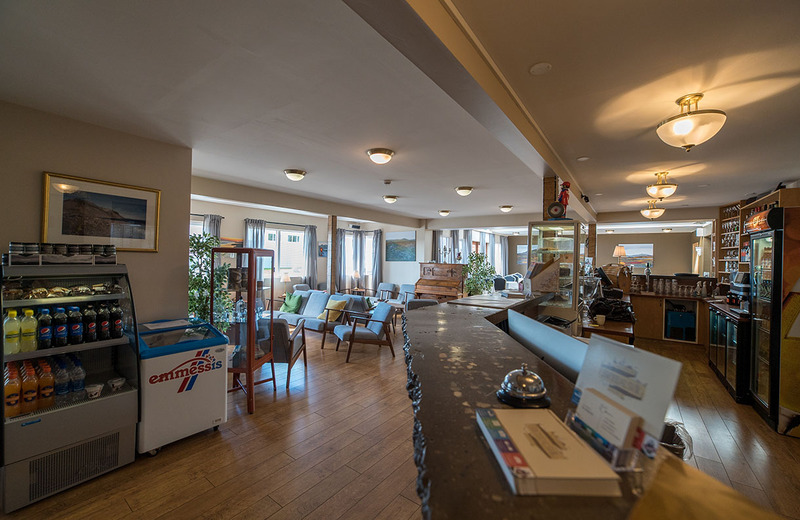 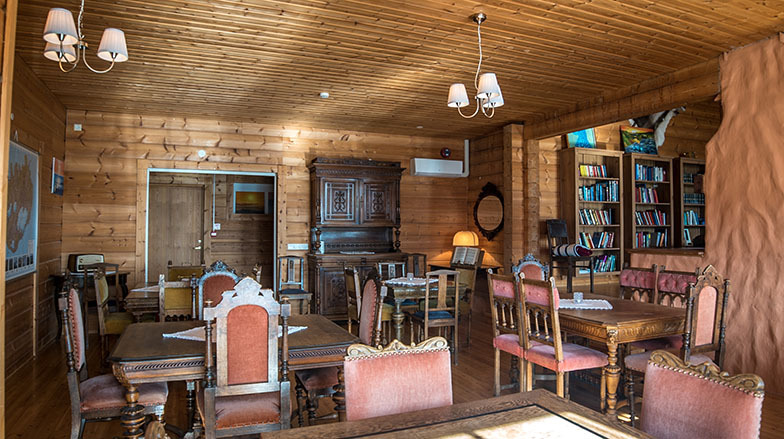 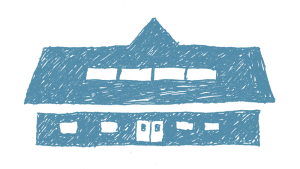 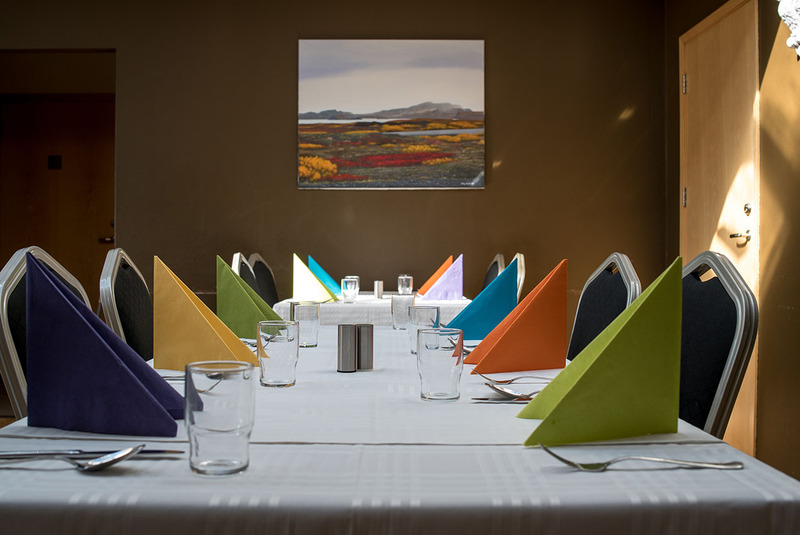 The facilities at Hotel Bláfell include free wireless internet and parking, our fantastic on-site restaurant serving full board, our cozy sitting lounge and Finnish style sauna. 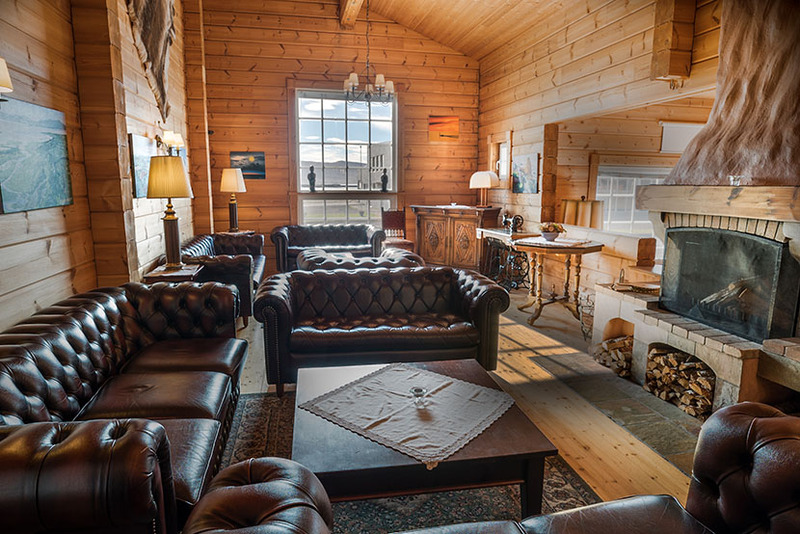 Visitors to Hotel Bláfell can relax in the comfortable atmosphere of our sitting room featuring a wood-burning fireplace. 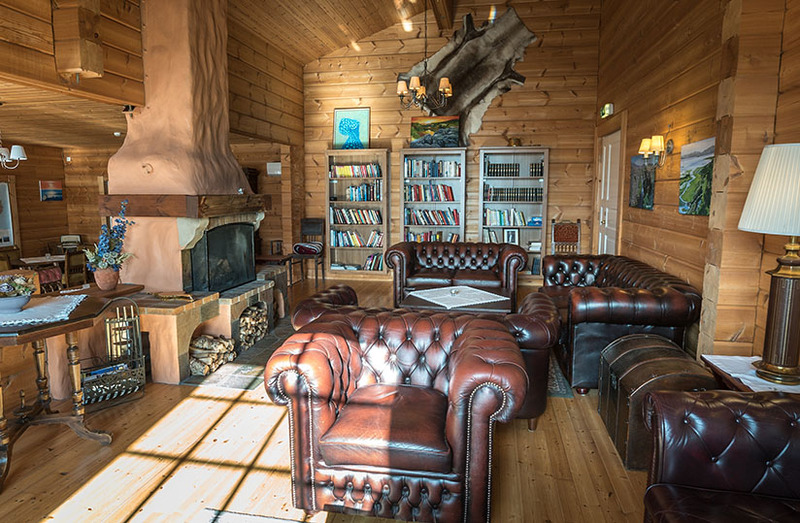 Constructed from natural wood, the interior is reminiscent of a cozy log cabin decked out with leather chairs perfect for sitting back and reading one of the many books from our library. 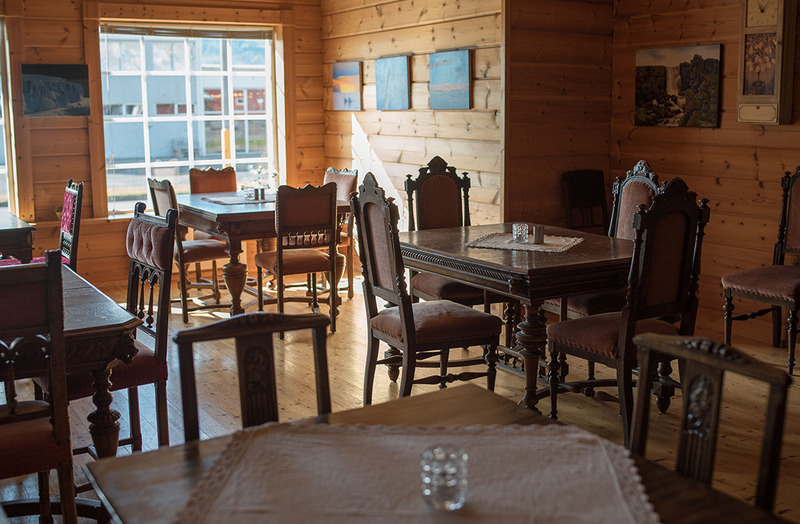 Kids can entertain themselves playing cards, chess or board games while adults can stay connected with our free wireless internet. 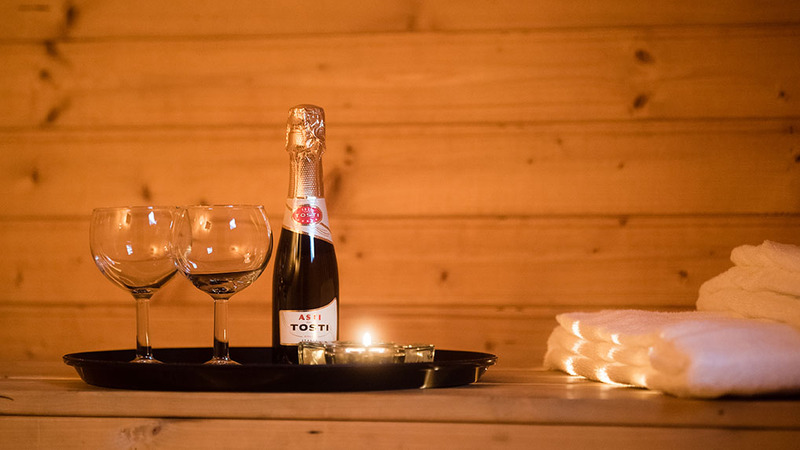 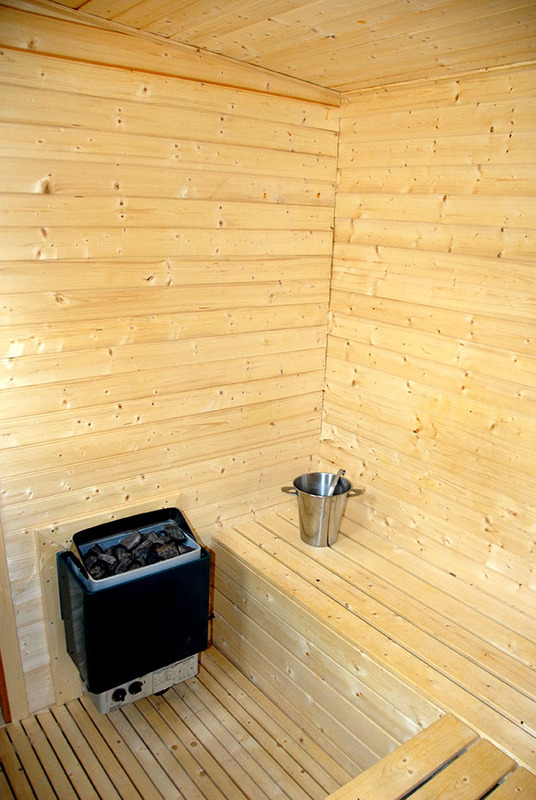 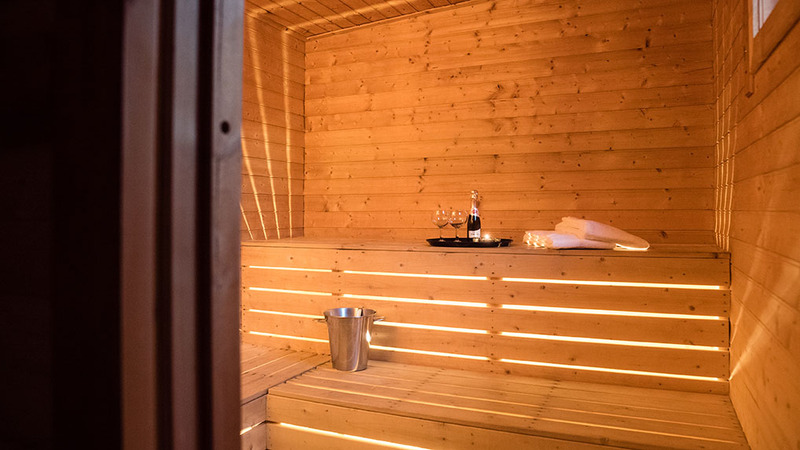 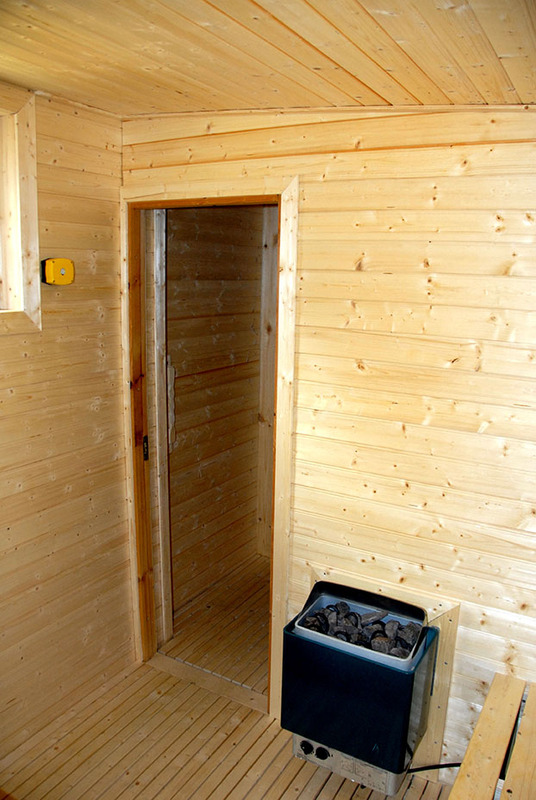 After a long day of nature exploration, there is no better way to soothe tired, aching muscles than with a complimentary visit to our Finnish style sauna. 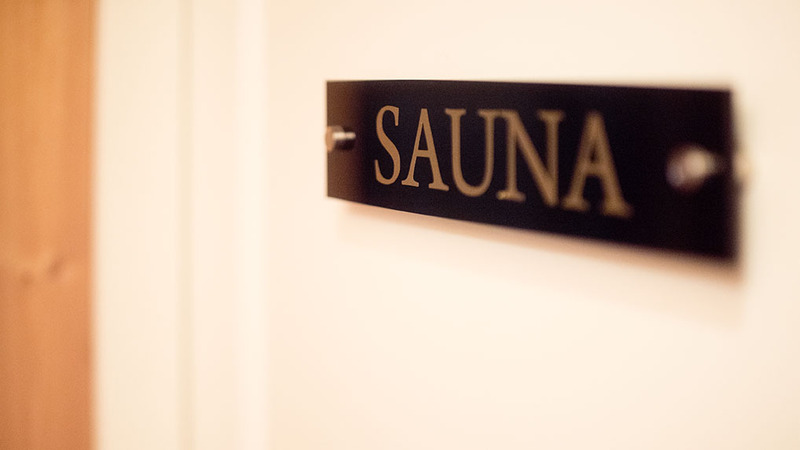 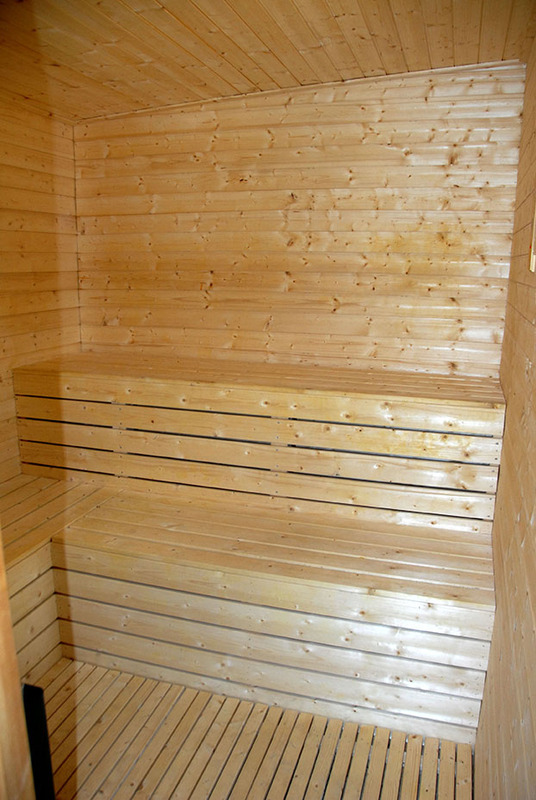 Experience all the beneficial effects of a therapeutic sauna in a quiet moment of wellness where you can purify the body and clear your mind from the stresses of daily life. 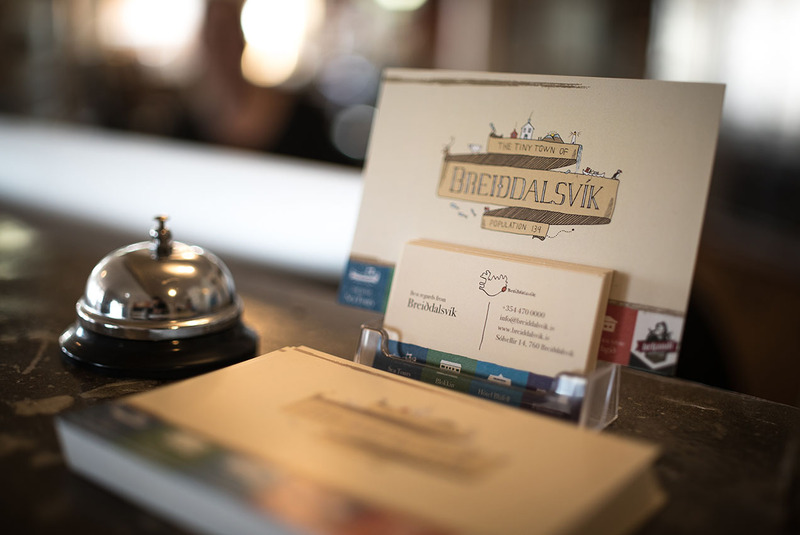 Open daily from 17:00 – 22:00 or upon request. 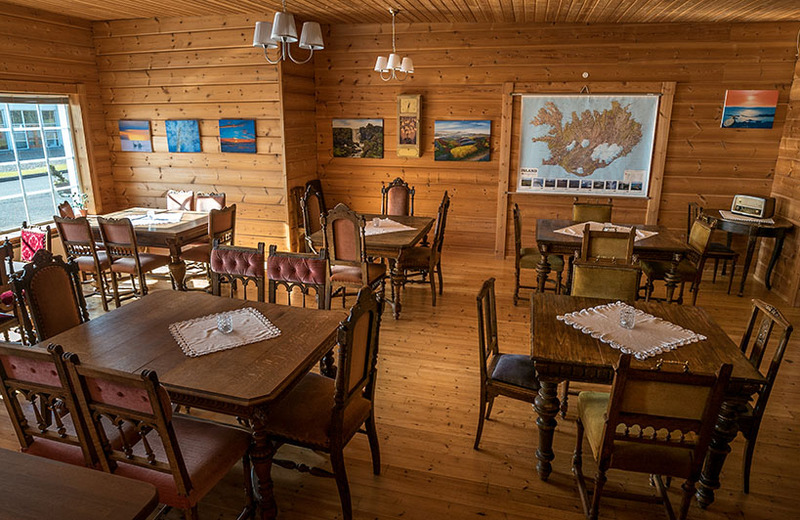 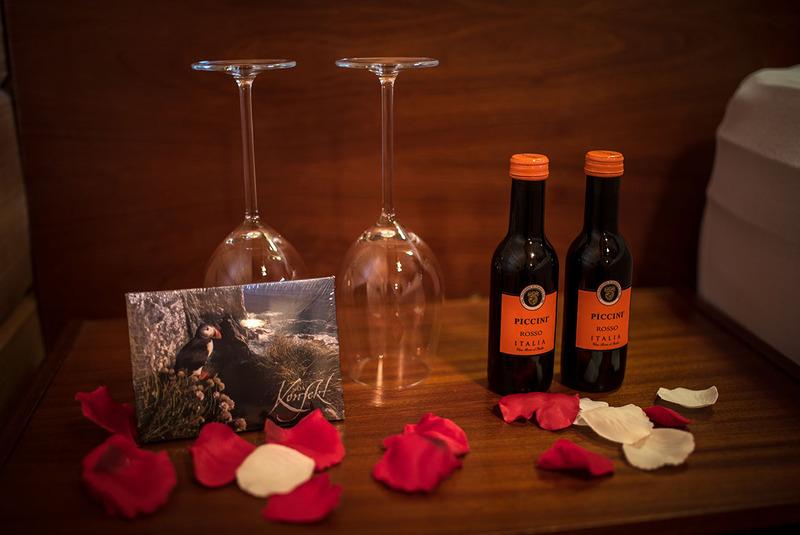 Browse our photo gallery to experience the rustic simplicity and comfortable hospitality of Hotel Bláfell.